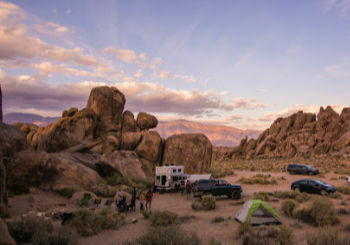 Owning an RV opens you up to a wealth of experiences as you travel across the land and is a great way to get out into nature with your friends and family. You must invest in more than just the RV, though, and one of the main items you can’t forget is RV toilet paper. Without this special item, you’ll find your septic tank full of clogs and in need of repair, so being sure to stock your bathroom up with this item is very important. With a comprehensive guide on buying choosing the right toilet paper, you’ll no longer need to worry about your black tank backing up in the middle of a vacation getaway. There are several key factors you need to consider when buying toilet paper for your RV. Without paying due care and attention, you will find yourself with scratchy, thin toilet paper that clogs up your septic tank. Here, we take you through the main considerations you need to make when buying toilet paper for your RV. The main factor you need to be sure of is that your toilet paper is biodegradable. Due to the small size of your RV’s septic tank and the fact that the waste needs to be stored and emptied, regular toilet paper will result in blockages that could cost you hundreds of dollars to clear if you can’t get it fully cleaned out yourself. Be sure to choose a toilet paper that is fully biodegradable and breaks up easily. A lot of the toilet papers for RVs are only biodegradable because they are thin. Imagine the kind of tissue paper that you use to fill a gift bag: this is the thickness of a lot of toilet paper products on the market today. Using paper of this thinness will result in breakages and tears as you use it, and will require you to use far more than you would with thicker paper. Another side effect of thin toilet paper is that it often ends up being scratchy, which can cause a lot of discomfort during use. 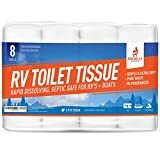 Rather than subject yourself to this experience, choose a toilet paper for your RV that is soft and textured, as this will help with the absorbance. Unfortunately, when shopping for the best RV toilet paper, you will find that a lot of products overestimate their capabilities. The key thing to remember is that if it sounds too good to be true, then it probably is. Avoid brands that state that they will never tear, as the thinner nature of 1-or-2ply toilet paper when compared to regular toilet paper means that you just can’t avoid the occasional tear. Another thing you should avoid is toilet paper that has been treated with chemicals and fragrances. These aren’t good for your skin nor are they good for the environment. While some toilet paper brands may claim to be fine for RV septic systems, there’s really only one way to find out for sure, and that is to test the toilet paper yourself. Testing the way the toilet paper breaks down is really the only way you’ll know for sure that your septic tank can handle the paper. To do this, fill a 10 oz. glass halfway with water, then put in a couple of toilet paper squares. With your hand tightly covering the mouth of the glass, shape the glass a few times to agitate the toilet paper. If the paper has dissolved or broken down, then you know that it will do the same when you flush it in your RV. Another way to test your toilet paper is to leave a square or two in a glass of water without agitation. You will be able to see how well the paper breaks down over time. You may find that some paper doesn’t break down at all without agitation, and this may inform your decision to buy depending on how your septic tank works. RV toilet paper is built to work like regular toilet paper with one key difference: the way it breaks down. 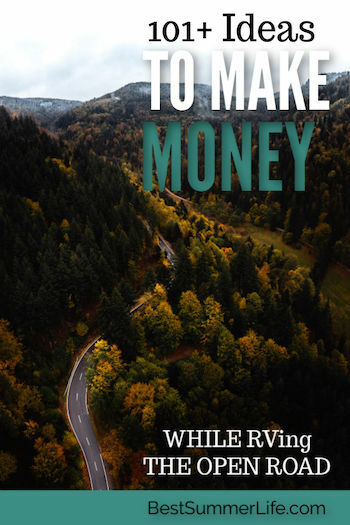 As RVs are built with septic tanks that are smaller and more prone to clogs than your regular plumbing at home, using regular toilet paper in an RV can lead to extra maintenance costs as you work to clear the system on a regular basis. There is no difference in the way you use this stuff when compared to regular paper. The difference is in what happens when it is flushed into your system. If your system is prone to clogs, we recommend switching to a rapidly dissolving toilet paper brand or using the 3 Seashells. You may find some RVers that make the claim that you should never flush toilet paper down the RV toilet. While this is true for regular toilet paper, there’s absolutely no problem with flushing rapidly dissolving toilet paper down your RV toilet. These fears usually stem from people’s distrust of their black tank system, but this is no longer a concern in modern RV toilets. When looking for toilet paper for your RV, the most important feature to keep in mind is the usability, comfort and style of the product. That’s why we feature Aqua-Soft toilet paper by Thetford in the number one position on this list. 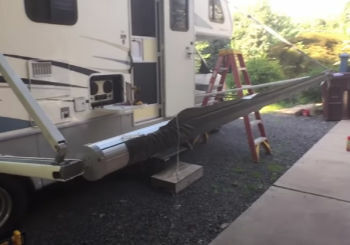 When you flush your toilet paper during your RV trip, the last thing you want to think about is the effect it will have on your RV’s plumbing. The Thetford Aqua-Soft toilet tissue is built with biodegradability in mind, so that it will break up quicker after you flush it. This reduces the risk of clogs and results in less maintenance on your RV septic tank. When buying toilet paper for your RV, you might think you are limited to brands that focus on performance rather than feel. The Aqua-Soft brand manages to combine both of these important characteristics, resulting in a highly absorbent paper that feels super soft when you use it. The Aqua-Soft package delivers four rolls of toilet paper at a budget-friendly price, so you’ll find yourself spending less money over time. This particular brand rivals the biggest toilet paper manufacturers in terms of comfort, value and functionality. Scott is one of the biggest brand names in paper towels, and the fact that they’ve produced a fast dissolving toilet paper specifically for RV use means that you can enjoy the same quality toilet paper on the road as you use in your home. Not only is this product strong and practical but it is also great value. 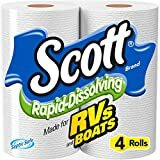 The Scott Brand RV toilet paper comes in a pack of 48 rolls, which means you end up paying less than one dollar per roll. Not only will this save you lots of money in the long run, but you won’t be running out of toilet paper in a hurry. You can put it out of your mind and concentrate on your road trip. While Scott brand toilet paper always tends to break up easily, the rapid-dissolving type actually breaks up four times faster than the regular stuff. Once this paper hits your septic tank, it breaks down quickly, eliminating the chance of clogs and blockages. Scott have really gone all out in making sure that this toilet paper is good for everything it comes in contact with, from your skin to the environment. The paper has been clinically tested and certified to be environmentally responsible, and is also unscented which means you’re reducing the risk of your skin reacting to it. Freedom Living pride themselves on providing quality solutions for your RV lifestyle. The septic tank safe toilet tissue is a versatile and functional toilet paper option that values strength and comfort whilst giving you peace of mind. 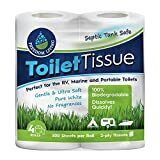 A lot of the best RV toilet paper options are focused mainly on the biodegradability without taking comfort into consideration. 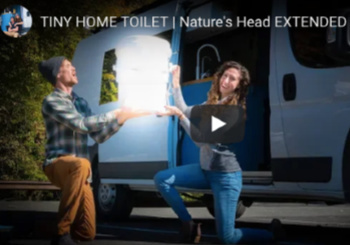 The Freedom Living septic tank safe toilet tissue provides the best of both worlds, delivering a soft 2-ply tissue that lacks the abrasive feeling that some RV rolls have. The Freedom Living toilet paper is not only great for RVs, but it will also help you on your day trips. If you fancy a hiking session while you’re at one of your stops, then you can be assured that this toilet paper will biodegrade no matter where you leave it. This will give you peace of mind that you’re being hygienic and environmentally conscious at the same time. Like many toilet paper brands that are designed for RV use, the Freedom Living product dissolves quickly so that you can avoid clogging your system. What sets this product apart, though, is the speed at which it dissolves. You can see the paper breaking down instantly, leaving you with a completely dissolved product within a couple of minutes. Firebelly Outfitters are one of the most trusted names in delivering quality RV products. That’s why their RV toilet paper is highly deserving of a place on this list. This value for money 8-pack means that you can keep your bathroom stocked up and your black tank clog free. The problem with fast dissolving toilet paper is that any moisture in the air will start the process of degrading the paper before your eyes. One way to stop that is to run dehumidifiers, but this isn’t always practical. Firebelly Outfitters solve this problem by individually wrapping each of their rolls. Sure, this isn’t the most environmentally friendly option but it will save you tons in wasted toilet paper. While most RV toilet paper brands boast a rapid-dissolving design, this particular product focuses more on completeness of the process rather than speed. While you’ll find that your toilet paper takes longer to dissolve, the end product is a completely clear septic tank that you’ll spend less time fussing with. One of the worst things to happen when using any toilet paper is having it rip as you’re trying to use it. Not only is the Firebelly Outfitters toilet paper delivered in a strong 2-ply format, but the strength of the tissue means that you’ll use less and save money. The Aria premium Earth friendly toilet paper is one of the most value for money rolls that you’ll find for your RV. This 12-pack of mega rolls are created with conservation in mind, so you can rest easy as you travel across the highways. Aria pride themselves on creating their products in a sustainable way, and plant 3 trees for every tree they use. Not only that, but the packaging is 51% plant based so you can be sure that you’re doing your bit to help the environment without sacrificing quality. Not only is this toilet paper Earth friendly, but it’s also one of the strongest biodegradable toilet papers on the market. You’ll find that it is 50% thicker than similar brands yet is over 90% more absorbent than other rolls. This product isn’t specifically designed for use with RVs, but the fact that it is 100% biodegradable means that it won’t clog up your septic system. You’ll find that it is strong and absorbent enough to use anywhere, whether you’re on the road or in your own home. When looking for toilet paper to stock the bathroom in your RV, you need to consider strength, biodegradability and comfort. While many options on this list boast many of these qualities, the clear winner of this roundup is the Firebelly Outfitters RV toilet paper. Not only does this toilet paper fully disintegrate in your septic tank, but it’s built with superior strength whilst retaining a high degree of softness. One of the best features of this paper is that the rolls are individually wrapped, which means you don’t have to worry about your stored rolls while you’re on the road in humid conditions. 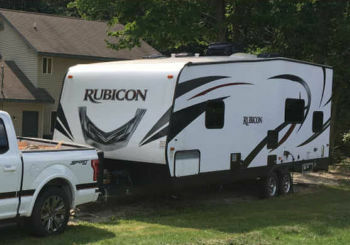 We hope that this guide has helped you decide which TP is best for you so that you can spend more time on the road and less time worrying about clogging up your RV’s Black tank!